Singlepass inkjet printers apply all colors in one pass. As the name implies, singlepass inkjet printers lay down all colors in a single pass. This can be useful when integrating product-marking inline with manufacturing. Although singlepass inkjet printers typically have a higher initial cost, their ability to store multiple designs combined with CMYK technology mean that changeovers are nearly instantaneous, reducing downtime and decreasing material waste. When combined with pick-and-place automation and pre-treatment options, the possibilities are endless. Click on the videos below to see a few bespoke solutions EPS has created. 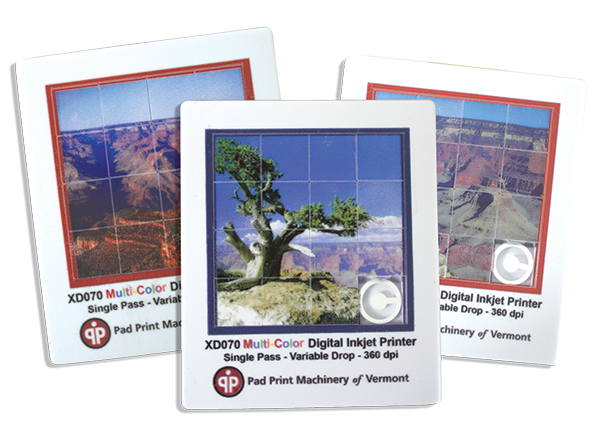 4-color integrated RIP available with variable image data. Want to know more about direct-to-object singlepass inkjet printing? Contact a Sales Engineer today. These puzzles were printed in a single pass on the XD-70 industrial inkjet printer. 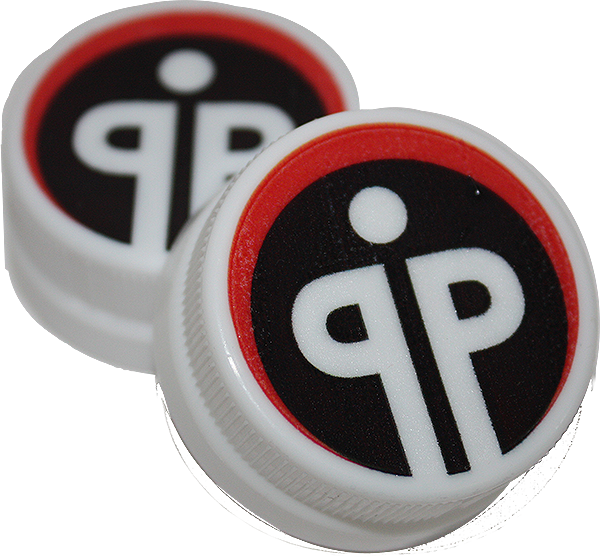 These bottle caps were printed on the XD-70 Inkjet Printer at a rate of 14,000 caps per hour.